I don't bother much with parchment paper. I create the image in photoshop, then throw in some stains or whatever. It sounds like you have help already, but I'm willing to help if needed. The front of the invite could be done with some added embossing and trim. 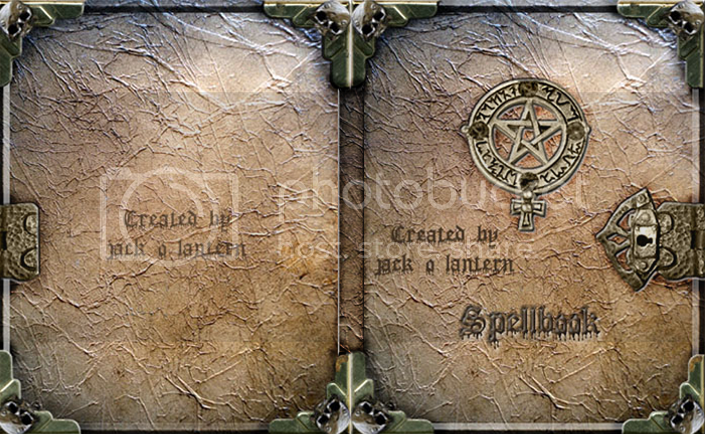 Something similar to the Halmark talking spell book. I'm with Britishwitch...I want to know what you put together for this party. Please share. Thanks for the help and suggestion, everyone!! 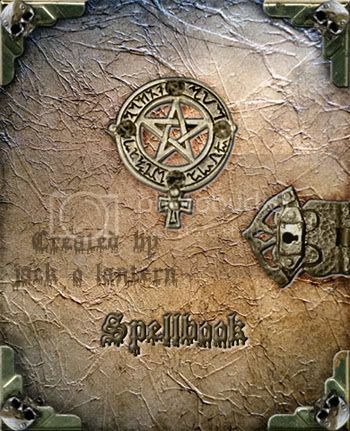 Darklore, I have one of those Hallmark spellbooks, and that is exactly the thing I sort of based my ideas on. Scry, thanks I appreciate your giving spirit. I am so computer illiterate it is not even funny. MHooch, after reading what you want and everyone's suggestion, I do think the handmade ones would be the best, but definitely time consuming. So I took upon myself to create these images that you or anyone else is more than welcome to use, I can take the text off the inside and give blank images to anyone or put text in for you. Just felt like something fun to do. This may be a dumb question, but what program and how would you go about filling in the details of what, where, and when? I'm almost embarassed to ask this. Btw, this is one terrific idea. As long as you have a detailed copy of the image...and the creator doesn't mind...you simply bring it into your own graphic program and draw on top. Say for example...I post this image. The original for printing should be much higher resolution. Here's a higher resolution (4Mb) image I would use for printing. If the intent is to allow others use of the image...it's nice to keep things generic. I use Adobe products, for text I use Illustrator, what I would do, is I would leave out the "who, where, when etc" so you could fill that in with heck, microsoft paint if you wanted to. I can tell you font and size. But you could also print it out and hand write the details. whilst I REALLY REALLY would NOT recommend it - you could even fill in the details with Microsoft Paint or Word. I was thinking, though I'd have to look into it, almost turn it into a form in acrobat, so just make a pdf that they have to fill in the blanks. I believe you can embed the font. That way they could have a completely typed up piece, but it can be the info they want. I'll have to research it more.